Check out the Big Island Airbrush Blog for the latest and greatest! Welcome to the official website of Big Island Airbrush, the original Airbrushed T-shirt shop located at Ocean city, MD since 1987 . As seen in the pages we offer high quality garments with personalized designs of your choice. Big Island Airbrush continues to set the trend as Ocean City's most innovative airbrush clothing Store. 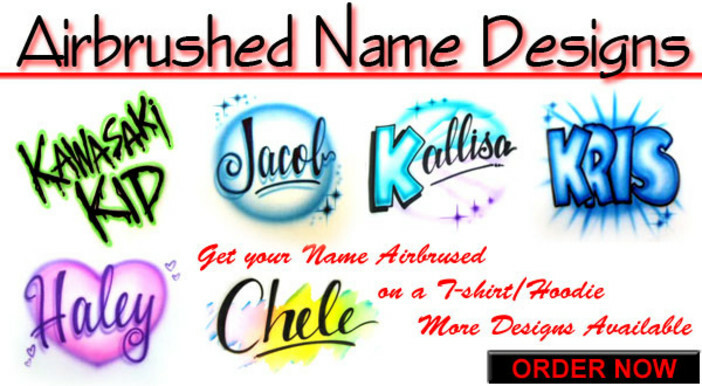 We have the largest selection of airbrushed shirt designs on the web, with different Garment styles to choose from. All t-shirt designs are hand painted using an airbrush, Within our large selection of airbrushed shirt designs you will find t-shirt designs for couples, family, Kids, Sports and more. We also offer high quality t-shirt photo transfers as well as custom hand painted license plates and custom airbrushed portraits of cars, trucks and animals. What truly sets us apart from other "online retailers" is that we have an actual business store at Ocean City, Maryland, USA. We are not working out on our homes or basements. Big Island Airbrush is open from May to September ,7 days a week. Examples of our work can be seen by visiting our Photo Gallery in Facebook or our Webstore. Send a photo of a car, truck, boat, plane, or any vehicle, to be Airbrushed on a shirt via email to bigislandairbrush@yahoo.com, and click on ORDER NOW and fill up the form, enter lettering and preferred colors, after the order has been confirmed it will be mailed depending on the shipping preference you choose. Cost starts at $45 on a t-shirt, $55 on a sweatshirt. Prices may vary according to the details desired. Sizes 2XL and up are additional. You can now Order Online, the Airbrushed T-shirts and hoodies, from Big Island Airbrush, The original Airbrush T-shirt Shop in Ocean City, Maryland !!! Choose your design and enter your name, the t-shirt will be mailed to your Door. Our webstore is currently Down for rebuilding.